Casa del Pueblo Uruguay is a unique and stunning architectural marvel that is found in Punta del Este, Uruguay. This small peninsula juts out into the ocean and provides a geographic barrier between the warm, wave tossed waters of the Atlantic and the more tranquil Rio del la Plata. 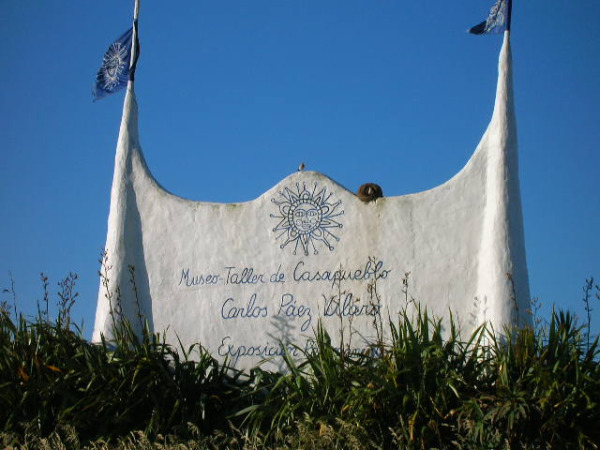 At one time Punta del Este was a rather barren strip of land that was known to locals as Cabo Santa Maria. Now this setting is a modern resort known for fine restaurants, high end shopping and spectacular beach front accommodations. Casa del Pueblo is perhaps the premiere destination for many visitors who come to enjoy the relaxing and delightful surroundings that have come to be the hallmark of a Punta del Este vacation. You can reach Punta del Esta and the doors of Casa del Pueblo Uruguay with a short drive from the capital city of Montevideo. Once you arrive you will be able to see the pristine beaches which surround the sweeping walls of this Mediterranean inspired building that was sculpted by hand to the exacting specifications of Carlos Paez Vilaro. 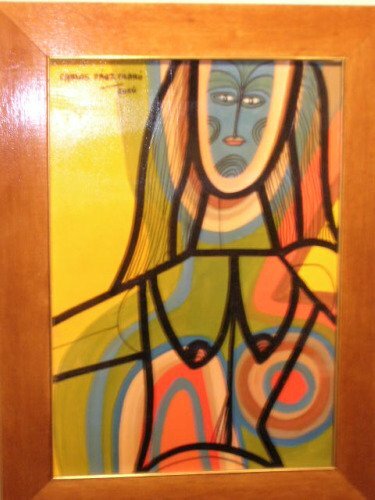 Of course the name of this Uruguay artist is one that is revered and respected in his homeland as well as in countries around the world. This artist is famous for both his musical talents and drawing skills. He wanted to create a home that embodied life and art and he accomplished this with his fascinating creation of Casa del Pueblo Uruguay which he built as an example of living sculpture. To a large degree it is this expansive building with its graceful, upswept walls that is this artist's most recognized endeavor. 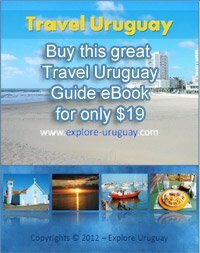 This one incredible hilltop marvel has been a top tourist draw for Uruguay for more than 40 years. Casa del Pueblo Uruguay was begun in the late 1950s when Punta Ballena (Whale Point) was still a wild and desolate stretch of land overlooking the untamed oceans. The name Casa Pueblo is very apt and wonderfully descriptive because it is roughly translated as a house - village. This is exactly what Paez Vilaro hoped to evoke as he began to construct the sprawling structure that would continue to grow and evolve over a number of years. Today the winding paths of Casa del Pueblo Uruguay and the unusual layout of both the building's interior and exterior are more akin to nature than one might possibly imagine. There is a fairy tale, ethereal quality to the alabaster white walls and there is a strong, palatial impact as well. The Casa del Pueblo compound was constructed in a number of building stages and Paez Vilaro wanted it to bring to mind the cliffside nests that the native Hornero birds made from ocean mud. The artist used whitewash and cement to create this one of a kind residence. This building was not just for show and by the late 1960s Paez Vilaro was living in his home although he was continually updating the structure by adding new rooms and walls at his whim, or in honor of special guests. Casa del Pueblo would soon assume a new identity as a combination hotel and museum. To the originator of this building it was only fitting that it be made available to others for their enjoyment and education. The architecture gives a birdlike appearance to the building's silhouette and it is awe inspiring to catch a glimpse of this massive landmark as you fly into Punta del Este. Casa Pueblo and Casa del Pueblo are two different ways that you see the name of this place listed. You may want to stop at the nearby supermercado for additional food treats, beverages and Uruguay wines to bring with you during your stay. There are no stores within easy walking distance and there is no place for you to shop and purchase any of these products on the grounds of Casa Pueblo. There is a limited menu from which to choose your meals but the food and beverages served during your stay are tasty and delicious including such items as Sangria, ocean fresh seafoods, vasco frito, delicate croissants and steaks. you can enjoy the picturesque scenery and salty ocean air. Today Casa Pueblo exists as a monument to the vision and artistic dreams of Paez Vilaro. At one time it was his home but today it is widely renowned as one of the world's great modern art museums as well as being one of the world's most delightfully intriguing and relaxing hotel settings.